To be a disciple of Jesus Christ means to have a heart for mission. Jesus gives us an incredible command in Matthew 28. He says, 'Go and make disciples of all nations...' We desire to help young people see their role in this amazing commission! Regenerate is a weekend filled with fun, games, banter and mission focussed Bible teaching. Commencing in September 2017, the mission committee organise Regenerate with the hope of inspiring and equipping young people to see mission as an every day part of being a follower of Christ. 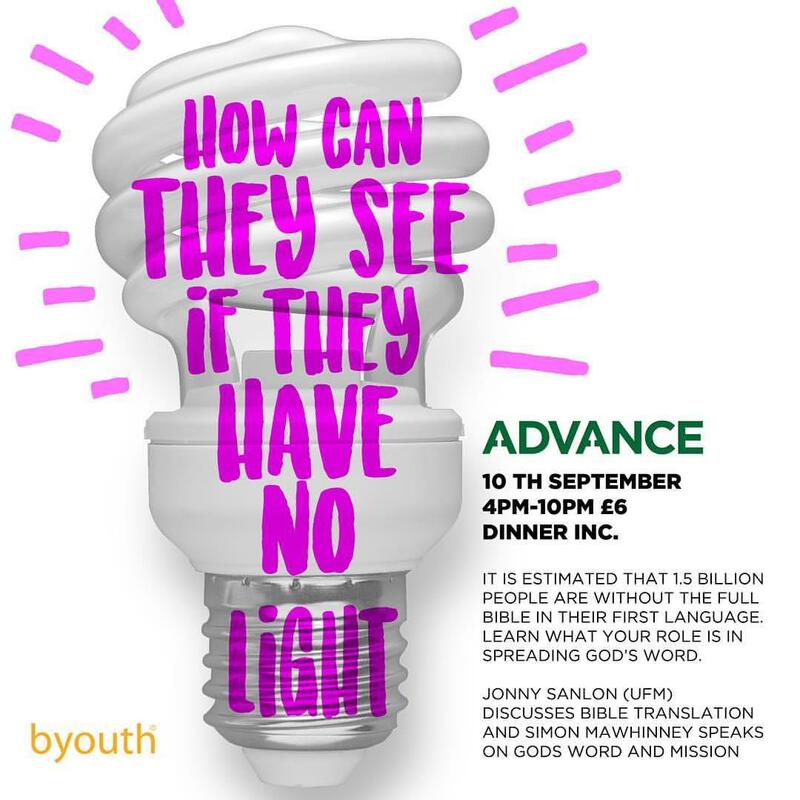 Advance is a Baptist Youth event which runs twice per year. It aims to equip young people to think biblically about mission, as well as encouraging them to take practical steps in spreading the good news of the gospel. Recently at Advance, we learned of the importance of God's Word in evangelism and how privileged we are to be a people group who have the Bible in our own language.